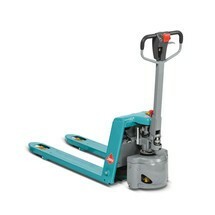 The SPM 113 pallet truck is designed for light-duty use as part of your in-house goods transport. 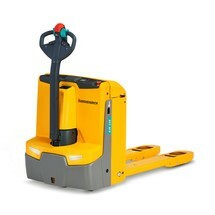 The electric drive system features a 2-stage travel speed and assists you in handling loads weighing up to 1300 kg. Powerful, tried-and-tested Ameise® hydraulic pump technology assists you with the manual lifting of the palletised goods. 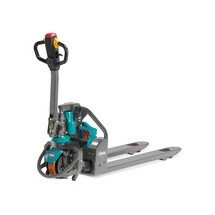 Thanks to its short fork length, it impresses in narrow aisles with its small turning circle as well as outstanding agility and manoeuvrability. It can also be used to transport special pallets. 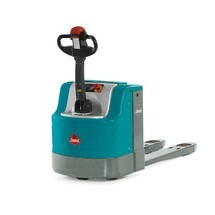 You operate and steer the semi-electric pallet truck via the ergonomic tiller handle. Forward and backward travel is controlled via the buttons at the top of the tiller head. 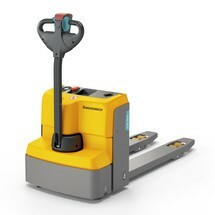 By pressing the crawl speed button, you can reduce the travel speed to enable safe and convenient transport of sensitive goods in confined spaces. The drive wheel is enclosed for maximum safety. Thanks to the optimised foot protection, the SPM 113 can also be used safely by less experienced users. 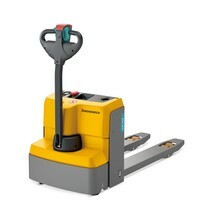 The drive system of the electric pallet truck is powered by a long-life 30 Ah lead-gel battery, which you can charge via any 230 V socket thanks to the on-board charger. The gel battery is maintenance-free since it does not have to be topped up with water. The residual capacity of the battery is shown by the battery charge indicator on the tiller head. If the SPM 113 remains unused for 5 minutes, it automatically switches to stand-by mode. Thanks to this efficient energy consumption, the daily operating time and availability of the pallet truck is greatly increased. 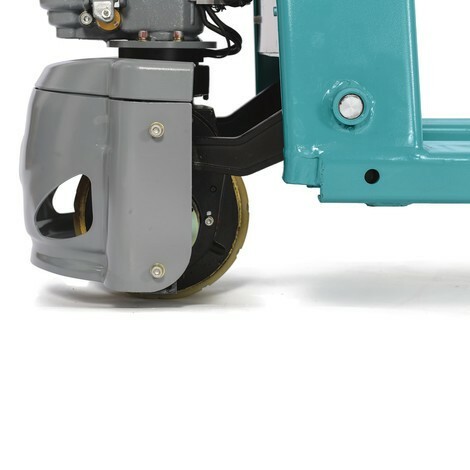 The drive wheel and tandem fork rollers are made from durable polyurethane and offer high-quality, comfortable and quiet travel combined with maximum capacity and a long service life. The Ameise® SPM 113 electric hand pallet truck with 800 mm fork length and 1300 kg capacity ensures optimum pallet handling in tight spaces. 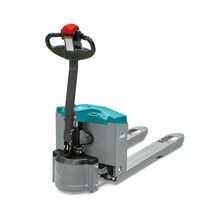 Order this pallet truck with electric drive and short forks from our shop today.